The International Islamic Trade Finance Corporation (ITFC) has signed $3-billion framework agreements with the Egyptian government ,represented by the Egyptian General Petroleum Corporation (EGPC) and the General Authority for Supply Commodities (GASC), to fund the supply of commodities such as petroleum, gas, wheat and other foodstuff. The agreement is indicative of strong ongoing links between the Islamic Development Bank (IsDB), the parent group of ITFC, and Egypt, said a statement from the Corporation. Till date, ITFC has signed five framework agreements with the Egyptian government represented by the Ministry of Investment & International Co-operation totaling $9.2 billion. The first Master Murabaha agreement was signed by Engineer Hani Salem Sonbol, the chief executive of ITFC and Ahmed Yousef, the deputy chairman of the Commodity Supply Authority to support the provision of goods supplies worth $1 billion, benefiting 67 million citizens. The signing ceremony was attended by Dr Aly Meselhy Minister of Supply and Internal Trade and Dr Sahar Nasr, Minister of Investment and International Cooperation. The second agreement, for a total financing of $2 billion, was signed by Engineer Abed Ezz El Regal, the chief executive of EGPC in the presence of Engineer Tarek El Molla, Minister of Petroleum & Mineral Resources at the EGPC Head Office. 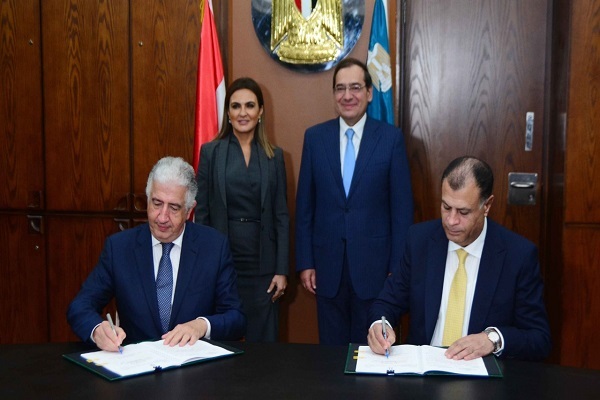 Commenting on the deal, Sonbol said: "Here at ITFC, we recognize the immense strategic importance this agreement holds for our relationship with the government and people of Egypt."